Ever since Apple decided to replace Google Maps with its own Maps on iOS 6, many users have complaint that Google Maps is totally better than Apple’s new Maps in everything. If you care about you data usage, then you will appreciate Apple Maps. A new study by Onavo reveals that Google Maps uses more cellular data than Apple Maps, making more data efficient. According to the study, Apple Maps is up to five times more data efficient than Google Maps. The test reveals that while in Standard map view, Apple Maps use approximately 80% less data than Google Maps. In satellite view, it appears that Apple Maps is also more data efficient. 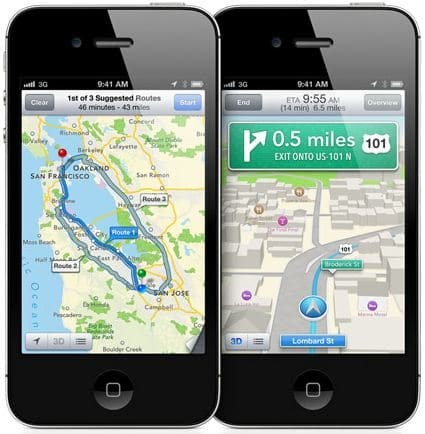 The tests found out that Apple Maps uses about half of data of what Google Maps use for Satellite searches and views.